This 2019, take your family on more wonderful adventures with Globe At Home and access the latest Disney flicks through the rich library of content from streaming partners DisneyLife! To top this off, you’ll also get exclusive world-class entertainment perks, like screening invites to this year’s hottest Disney films like The Lion King, Toy Story 4, and Frozen 2! “The internet is an amazing gateway to the world, allowing us to learn, experience, interact and enjoy things that would have been impossible or unimaginable only a decade ago. 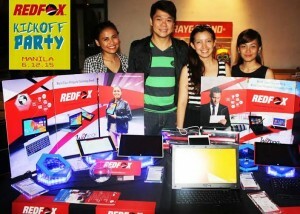 And this is what Globe At Home is proud to be able to bring you, a way to support your family’s digital lifestyle. And through the [Disney’s] amazing new app called DisneyLife, you will not only get to enjoy your favorite Disney classics, but also your favorite Pixar, Marvel, and LucasFilm productions!”, says Fatima Javellana, Globe at Home’s Director and Head of Existing Customers and Loyalty.